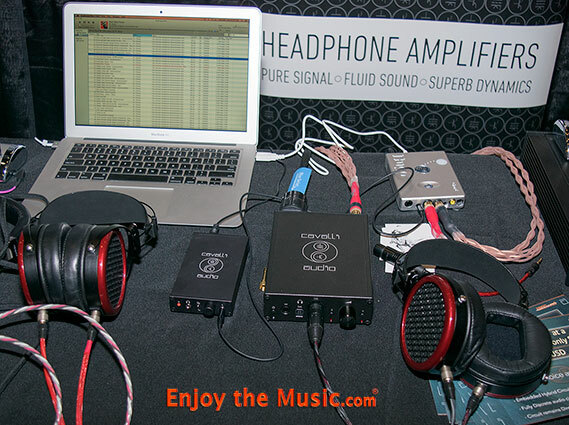 Enjoy the Music.com proudly celebrates our twelve years of reporting on the highly popular RMAF 2015 event (Rocky Mountain Audio Fest) that was held from October 2nd through 4th at the Denver Marriott Tech Center Hotel. 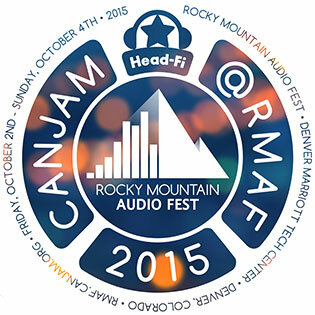 Online discussion board Head-Fi also held their special CanJam 2015 show too! CanJam specializes in portable media devices (PMP) such as headphones, in-ear monitors (IEM), computer/portable DACs, amplifiers, etc. As one of the most diverse and largest CanJam events in the world, CanJam 2015 at RMAF had many exhibitors all under one roof. The sheer quantity of new product announcements and special product reveals were not to be missed! Attendees enjoyed a special Saturday Night Social filled with music, food, drink and of course comradery with many designers, manufactures and equipment importers. 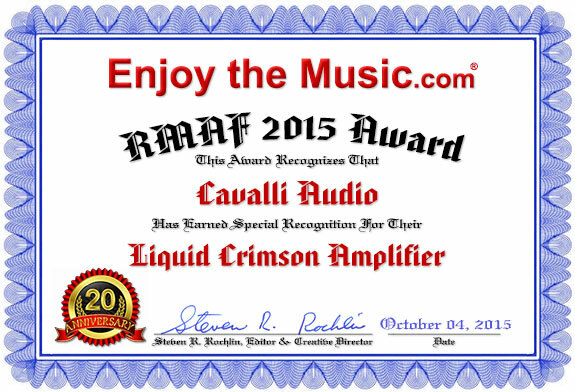 Enjoy the Music.com is proud to celebrate our 12 years of reporting on the highly popular RMAF 2015 event (Rocky Mountain Audio Fest​)! RMAF & CanJam teamed up and we once again delivered to you many special surprises during Enjoy the Music.com's show report! RMAF spanned eight floors and had over 170 exhibit rooms, totaling many millions of dollars in high-end home audio gear to hear, see, and experience. Those who desire buying something special enjoyed the special vendor areas. These areas offered many great tweaks, high-quality cables, headphones, portable media players, limited edition vinyl LPs, digital discs and much more! Various conferences, seminars and live music entertainment was at RMAF 2015 too! You can see our RMAF 2015 show report here. RMAF 2016, CanJam 2016, CanJam 2015, CanJam 2014, RMAF 2014, 2013, 2012, 2011, 2010, 2009, 2008, 2007, 2006, 2005 and 2004 show coverage.